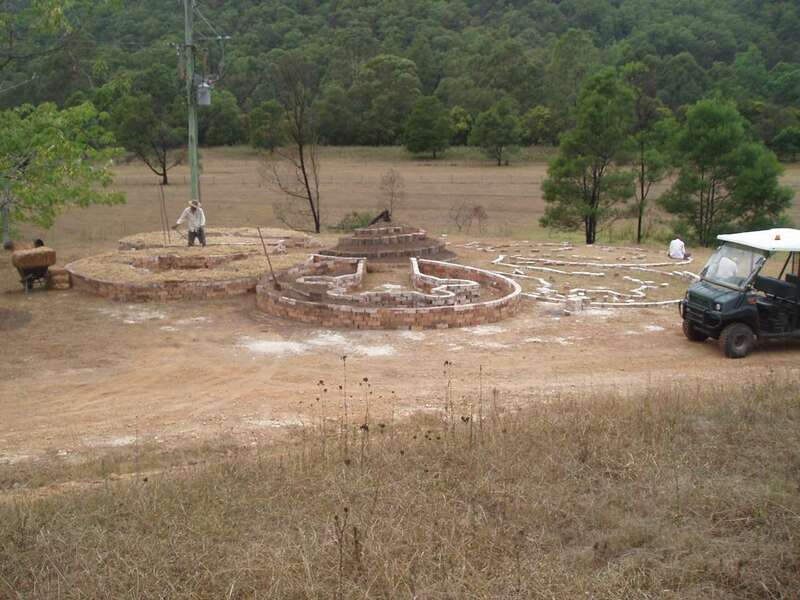 March saw the commencement of the Mandala Garden Project on our farm. Our seven large mandala gardens clustered around a herb spiral not only looks sensational but also will feel beautiful to work in and be highly efficient and productive. The garden is a commercial scale garden supplying, with other local growers, baskets of food for local people of the valley who cant or don’t grow their own. The design is compact and accessible minimizing pathways and increasing growing space and productivity. The design also has many other advantages including encouraging mixed planting and no straight rows of veggies therefore discouraging pest damage. Keyholes into the garden provide easy access to the garden around you and mean you don’t need to walk on your soil to reach your veggies. The seven mandala gardens each have four keyholes, which also have differing aspects for increased diversity of produce. 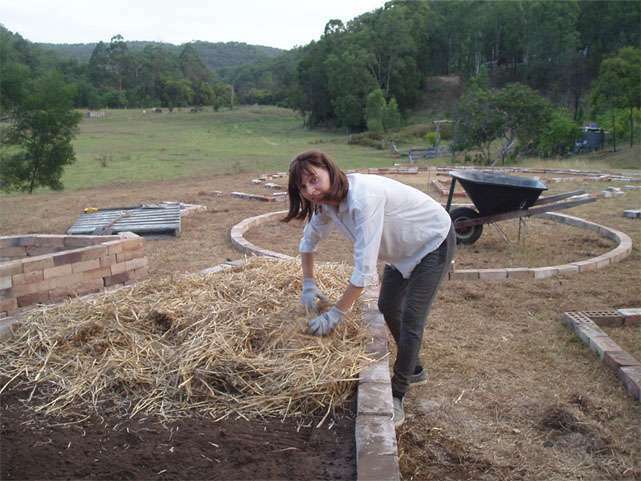 Unlike organic gardening, Permaculture likes to diversify and complexify the garden. 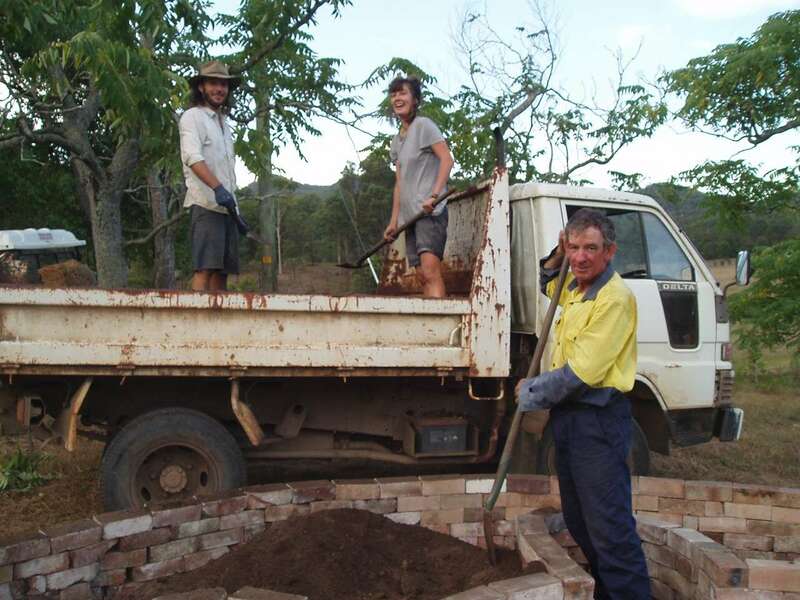 The human scale keyhole gardens enable you to do bite size gardening completing small sections in a short timeframe than large extensive rectangular veggie beds. The mandala design allows different people to work their own mandala garden or their own keyhole bed. The herb spiral is the centre feature of the seven-mandala gardens. 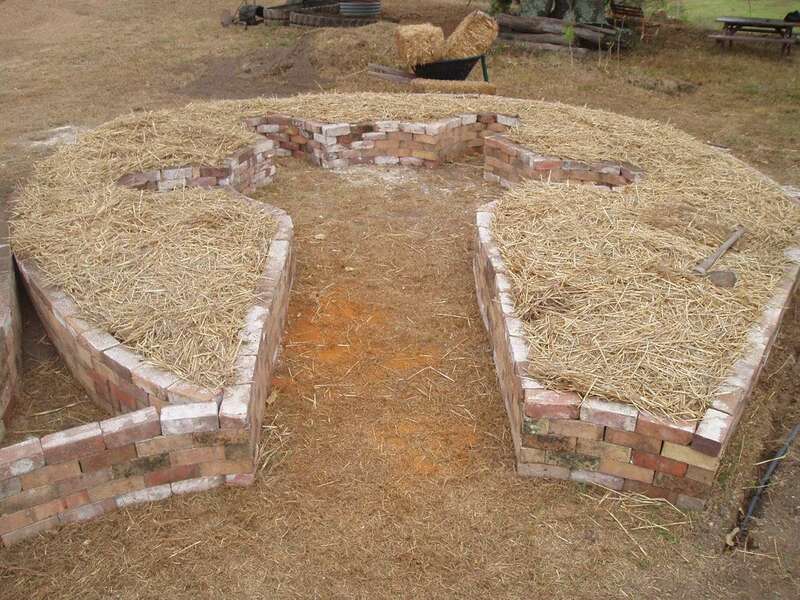 It is a walk-on 2 meter round diameter herb spiral raised in the centre to a height aprox 1.5 meters high. It will display a variety of herbs and beneficial insect attractant flowers that will look and smell sensational. 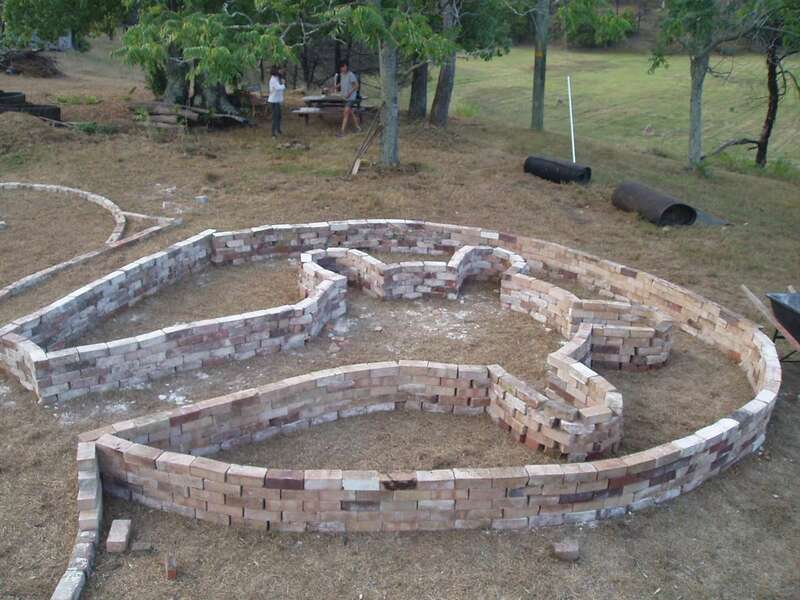 The raised herb spiral will have four different aspects and dry and moist spots to place herbs in the right place according to their needs.